I played golf back in the day. I was a middle schooler living in Florida, so what else was there to do? (It’s not like there were any mountains.) Then again, middle school wasn’t that long a time ago. I was a reasonably serious golfer for a 12-year-old; I had lessons twice a week and my game was decent. I could drive 160 yards pretty consistently, I didn’t have any issues with my irons, and my chipping was alright. But there was one aspect I was terrible at: putting. 3 putting each green was my norm and I simply couldn’t get my angles right, or hit the ball with just the right amount of power needed when putting. It infuriates me that you could drive a ball hundreds of yards, yet putt a ball half an inch short and cost yourself a stroke. Obviously the rules of golf should put more emphasis on driving. I resent golf to this day. If I did get anything out of my middle school stint playing golf, it would be this: finding out about Loudmouth Golf. For those of you who don’t know, Loudmouth Golf is primarily a golf apparel company. There was something about Loudmouth’s flamboyant designs that had and has always captivated me. Ever since noticing Loudmouth’s ads in Golf Digest and seeing someone wearing a pair of gaudily colorful (in a good way) Loudmouth shorts, I knew I needed one. But now, as a non-golfer, where would I find a need for golf apparel? Well, it turns out Loudmouth doesn’t just sell golf apparel. 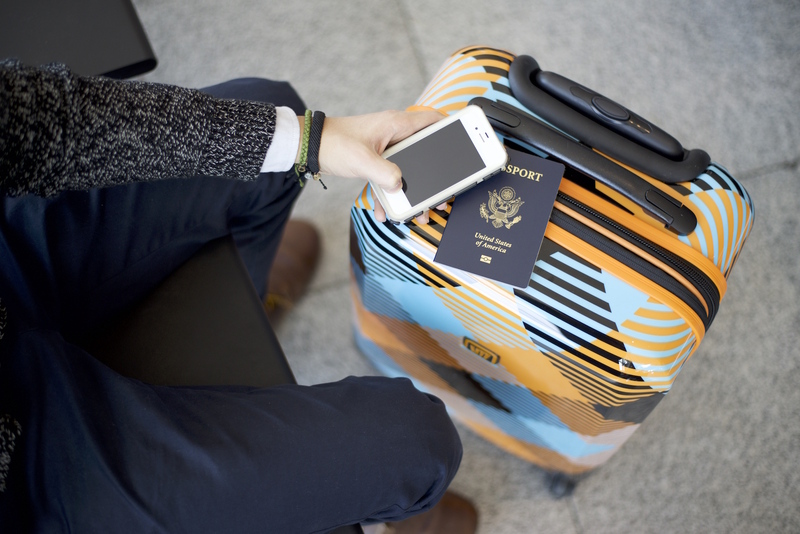 They make luggage with their signature colorful designs. Travelers rejoice! Recently, I’ve been testing the Loudmouth Luggage in the blue and orange “Microwave” design. It also comes in the a multi-colored “Captain Thunderbolt” design, which is exactly the same suitcase, just with a different design. 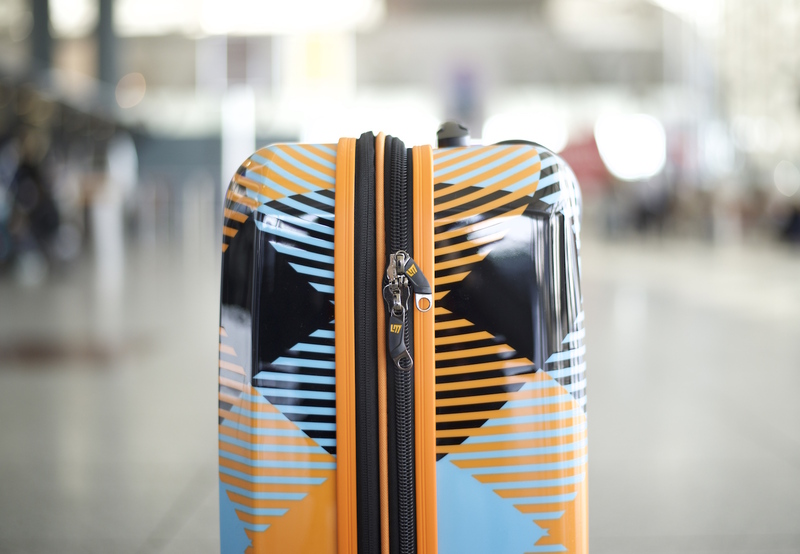 Although this suitcase is branded by and the exterior is designed by Loudmouth, this suitcase is manufactured by Traveler’s Choice – one of the largest luggage companies in the world. The suitcase has a glossy hardshell exterior, two carry handles which make the luggage easy to lift and 4 spinner wheels. 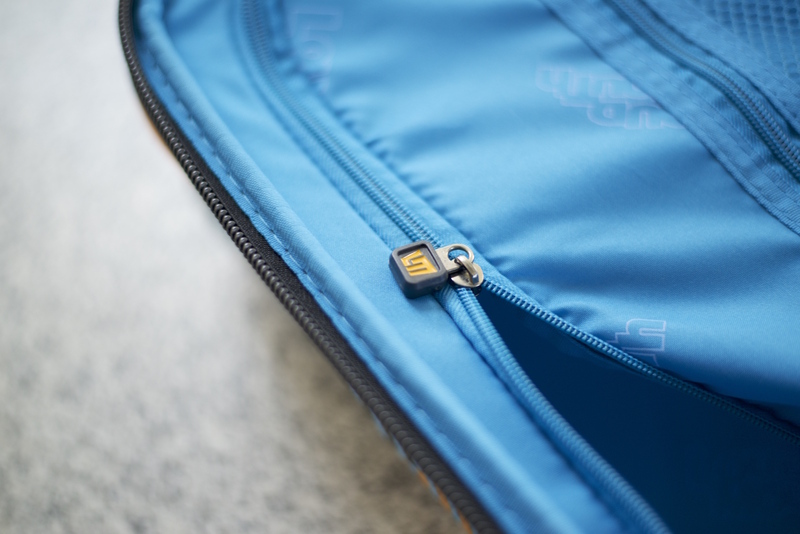 The zipper to open the main compartment is large and smooth, and the zippers can be locked together with any luggage lock. It would be nice if the suitcase had a built in lock, like the Heys luggage and Hedgren luggage do, but I guess that might be too much to ask for on a $90 suitcase. 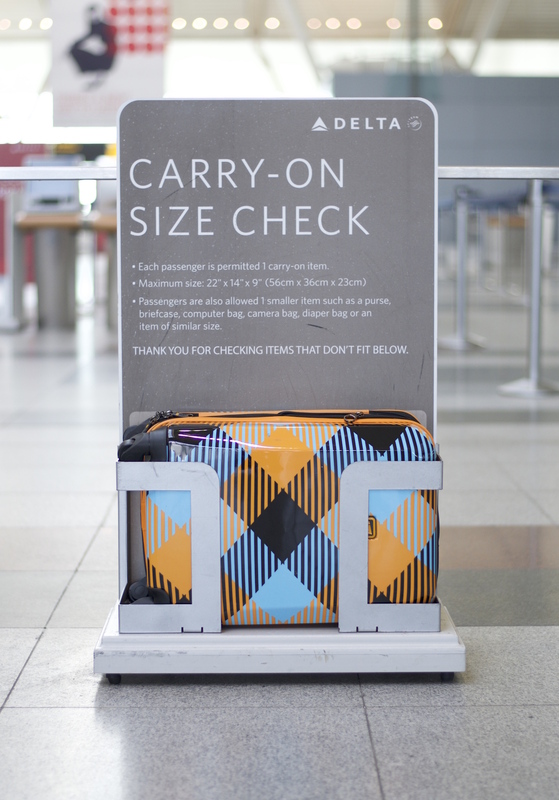 The Loudmouth suitcase weighs 7.6 pounds when empty, which is right up in the middle-to-heavy end of the carry-on weight spectrum. 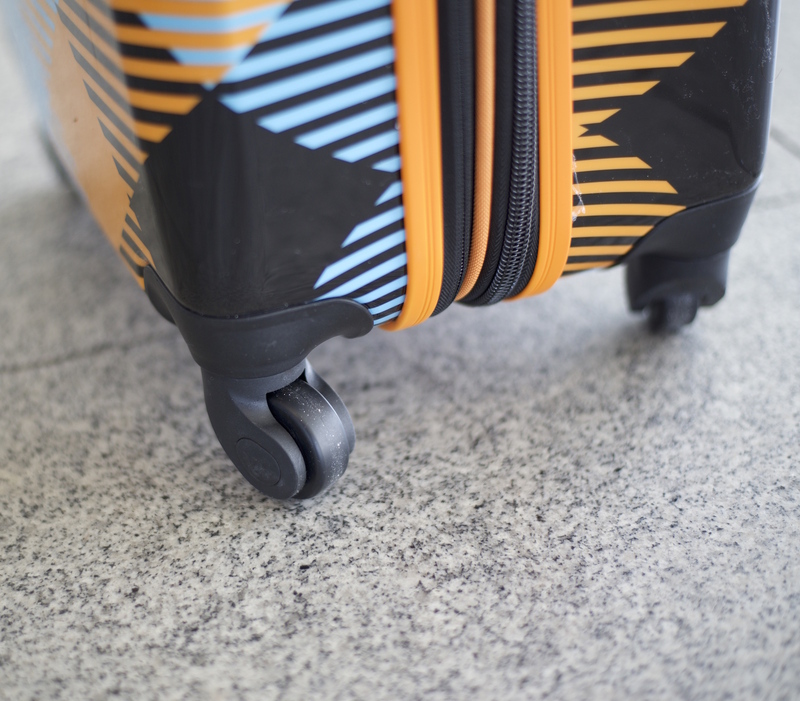 It’s not uncommon to see carry-on suitcases that weigh around 4 pounds, and some suitcases, like the IT Luggage (which weighs only 3.6 pounds and costs under $50! (but isn’t the best quality)) weigh even less than that. The question is, how much does weight matter to you? 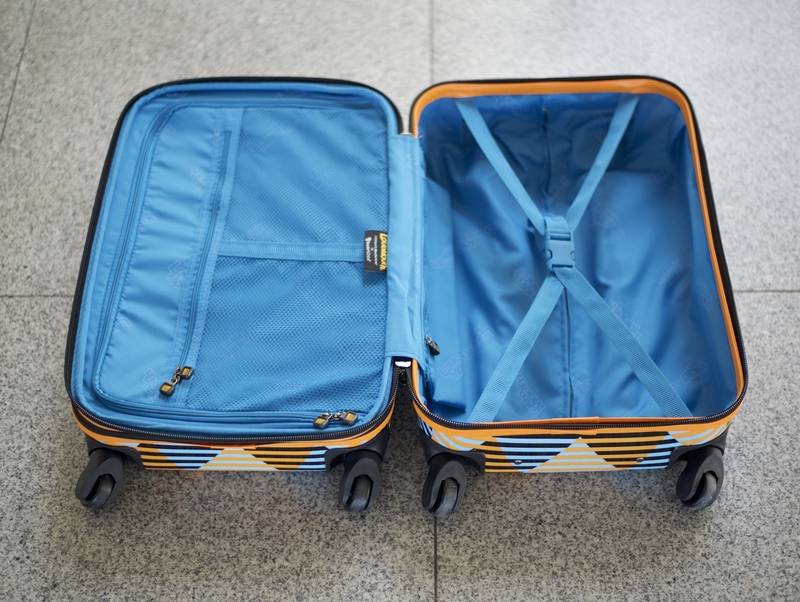 When traveling with a spinner luggage, you barely have to lift it up, except for when you need to put it into an airplane’s overhead compartment or lift it out of a car’s trunk. 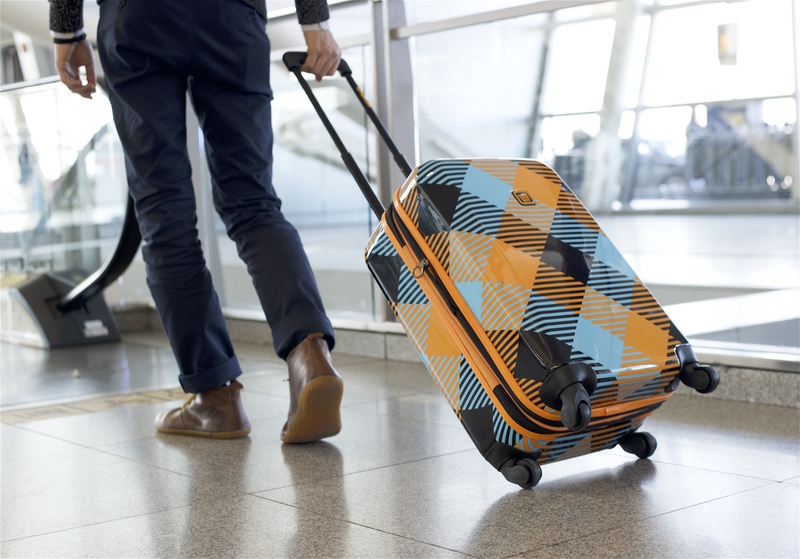 The exterior of the Loudmouth Luggage is made of polycarbonate, like almost all hard-sided suitcases are. The shell itself is a bit flexible and can take some minor drops and impact. The wheels and carry handles are solid, however I’ve written a bit in the cons section about how I think the protracting handle could be improved. As unorthodox as the exterior of this suitcase is, the interior is quite standard. The suitcase opens clamshell-style and has two main compartments separated by a zippered panel. If you’re traveling with a bulky item, you can unzip the divider to have one large compartment. The Loudmouth luggage also features two mesh zippered pockets, great for smaller items or socks and undergarments. The bright blue lining helps make items inside the bag stand out. When traveling with this bag and all suitcases in general, I recommend using packing cubes. Packing cubes are like portable drawers and make it a lot easier and less of a hassle to organize your clothes. You can read more about the pros and cons of packing cubes. There aren’t any external pockets on this suitcase, so if you’ll need to quickly stash something away, you’ll have to open the main compartment. One aspect I’d improve on the Loudmouth luggage is the handle. The handle is functional, but at times it can get stuck, and it wiggles a ton. I wish it were more rigid and smooth. 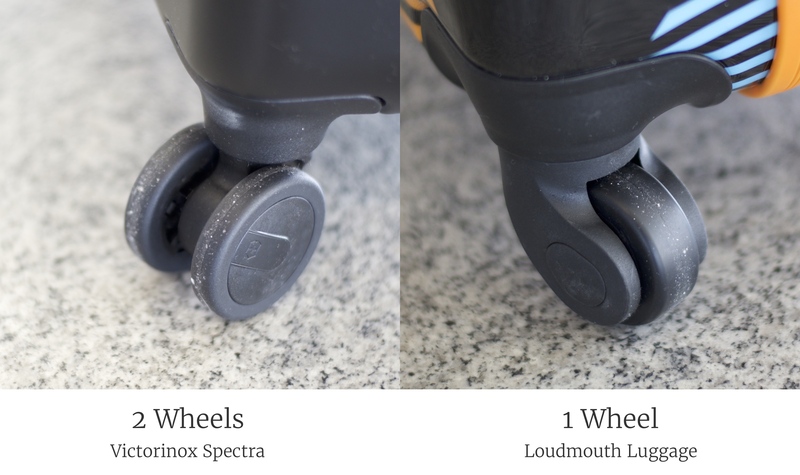 The two wheel design tends to be smoother and handle bumps better than the current 1 wheel per corner design that the Loudmouth luggage employs. 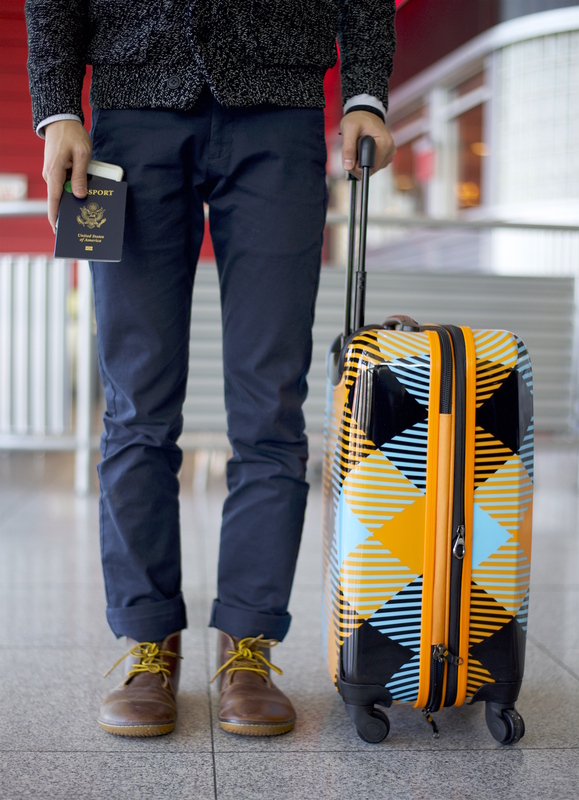 The Loudmouth Luggage is a standard suitcase with an unorthodox design. The suitcase looks amazing, but some of it’s components, like the protracting handle, could be improved. The eye catching exterior is sure to get you some compliments at the airport. You can find the Loudmouth 22″ carry-on luggage for retail $90, which is a very reasonable price. The Loudmouth Carry-On Luggage was provided for this review. As always, this Loudmouth luggage review contains only my honest views and opinions. 🙂 Find out more about me and this site here. Heys FVT USA Luggage Review & Giveaway! The color and the pattern look quite out-standing! I can get no worries about someone will wrongly take it from me!